Were you issued a summons complaint in Maple Shade, NJ? Do you have an upcoming court appearance at the Maple Shade Municipal Court? If so, contact the Burlington County Criminal Defense Lawyers at Proetta & Oliver. Our law firm has defended the accused throughout Burlington County and New Jersey. Some example of cases that we have handled for our clients include Possession of a Weapon for an Unlawful Purpose, Aggravated Assault, Simple Assault, Heroin Possession, Eluding, Driving While Intoxicated (DWI), Bad Checks, Money Laundering and Endangering the Welfare of a Child, just to name a few. If you are facing a disorderly persons criminal offense or a serious traffic violation with an upcoming court date in Maple Shade, contact the experienced trial attorneys at Proetta & Oliver. We are prepared to consult with you and your family regarding your pending criminal case. Call (609) 850-8284 today to speak with an attorney. Mon 8:30 a.m. to 2:00 p.m.
Tuesday – Friday 8:30 a.m. to 4:30 p.m. Honorable Corey E. Ahart, J.M.C. Need Directions to the Maple Shade Municipal Court? Located on the southwestern section of Burlington County, Maple Shade has a population of roughly 20,000. Passing through the township are Route 38, Route 41 and Route 73 which lead to the great number of traffic and criminal charges. In the last two years alone, local and state law enforcement have issued over 1,000 criminal charges and 3,000 traffic violations. 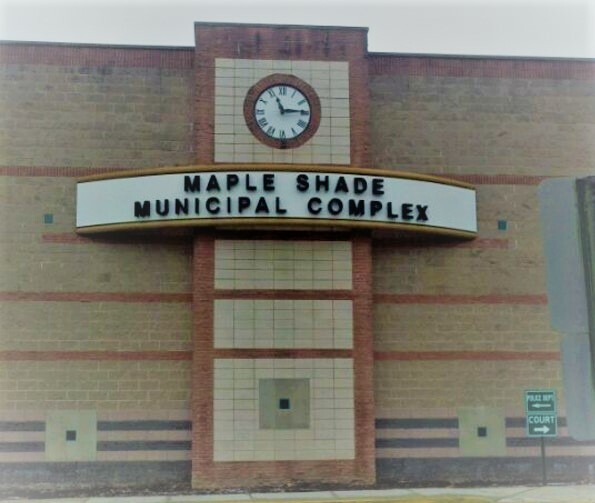 For more information on Maple Shade, please visit the municipal website. What you must understand is that Maple Shade Municipal Court is a court of limited jurisdiction. This means that the court can only hear certain cases, including minor criminal offenses (misdemeanors) and traffic violations. However, while more serious criminal violations will be heard by the Burlington County Superior Court, the municipal court still can impose stuff and life-altering penalties. Depending on your charges and your prior record, you could be facing a mandatory six (6) months in jail and a ten year license suspension for one single traffic violation! Having an experienced and reliable attorney at your side can help relieve your stress and limit your exposure to some of these serious penalties. As a Burlington County Criminal Defense Firm, Proetta & Oliver firmly believes that zealous advocacy is a mandate and not an option. For a complimentary consultation on your criminal or traffic charges, contact our office by calling (609) 850-8284. We are available for consultation 24/7 and the initial consultation is always provided free of charge.